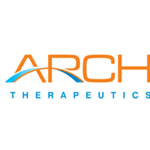 FRAMINGHAM, Mass., Nov. 28, 2018 (GLOBE NEWSWIRE) -- Arch Therapeutics, Inc. (OTCQB: ARTH) (“Arch” or the “Company”), developer of novel liquid, gel and solid hemostatic and wound care devices, today announced that the Company has submitted the required documents for AC5™ Topical Hemostat (AC5)1 to its Notified Body as it seeks a CE mark, which is a next step on the path to commercialization in countries governed by the European Medical Devices Directive (MDD). This first such submission by Arch to a European regulatory body follows the recent submission of a 510(k) premarket notification to the US Food and Drug Administration. Receipt of a CE mark would allow AC5 to be commercialized for use on external wounds, and in particular, for controlling bleeding by mechanically sealing areas of leakage and managing wounds in skin. The CE mark represents a company’s claim that a product meets the essential requirements of relevant European directives, and it is a legal prerequisite in order to place a device on the market in the European Union. AC5 will be assessed as a Class IIb device. We expect that the review process could take up to 6 months. A Notified Body is an independent third-party selected by a Competent Authority to assess a medical device manufacturer’s compliance by conducting a conformity assessment under the MDD. Each country has one Competent Authority, which is a local government body responsible for, among other things, ensuring that the MDD requirements are placed into National Law. As previously disclosed, Arch is seeking regulatory clearance in the U.S. and, following this initial clearance, potential clearance or approval for expanded indications. The company is also pursuing commercial opportunities for other AC5-related products, including use in open and laparoscopic surgical procedures. Arch continues to evaluate commercialization options and will provide updates when appropriate.